For nearly 30 years Mike’s public health career has spanned two states and nine county health departments. Beginning in upstate New York while attending college, he worked as a seasonal health inspector for three summers and a “public healthier” for life was born. Mike moved to Florida in 1986 where he began working at the Orange County Health Department. He moved on to become a health inspector at the Osceola County Health Department until 1993, when he became the Business Manager at Osceola County. Over the next 11 years Mike worked in Osceola County, Orange County and finally Hillsborough County Health Department managing the administrative operations of a $35 million budget, 600-employee metropolitan health department. 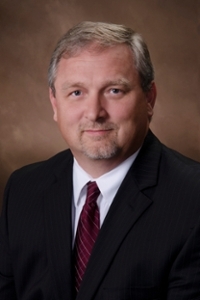 From 2004 through 2012, Mike served as the Administrator of the Seminole County Health Department. Under his leadership, the community saw the opening of a new eight-exam-room STD/HIV clinic and the expansion of maternity services for the uninsured in Seminole County. Mike was at the forefront of the founding of Shepherd’s Hope, a free evening clinic staffed by volunteer nurses and physicians that provides services to 5,000 uninsured residents each year. In December 2012, Mike accepted the position of Health Officer for the Florida Department of Health in Pasco County. He was drawn to Pasco for the opportunities and challenges facing public health in the county, along with its potential to expand community partnering to improve health. He has focused on organizational performance, community collaboration and implementing change to positively impact health outcomes. Mike initiated a community health collaborative that has forged new private/public partnership focus on improving health in Pasco County. Mike has demonstrated leadership beyond county boundaries, having been president of the Florida Association of County Health Officers (FACHO), president of the Florida Public Health Association (FPHA) and president of the Florida Association of County Health Department Business Administrators. He holds an associate degree in biology from the State University of New York at Cobleskill, a Bachelor of Professional Studies degree from Barry University, and a Master of Science degree in health sciences from the University of Central Florida. Having taken on the role of Interim Health Officer in the past, Mike accepted the added responsibility of Interim Health Officer for Osceola County in April 2018. As is his style, Mike enjoys the challenge of assisting another county until a new Health Officer comes aboard.